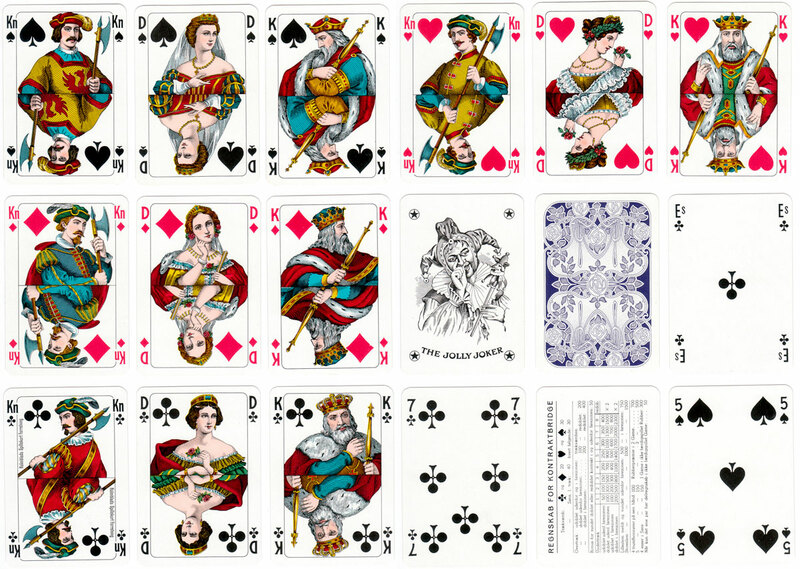 Nr.154 Holmblads Danish style playing cards made by John Waddington Ltd specially for S. Salomon & Co., Copenhagen. This edition is printed in four colours; a two colour version was also produced. 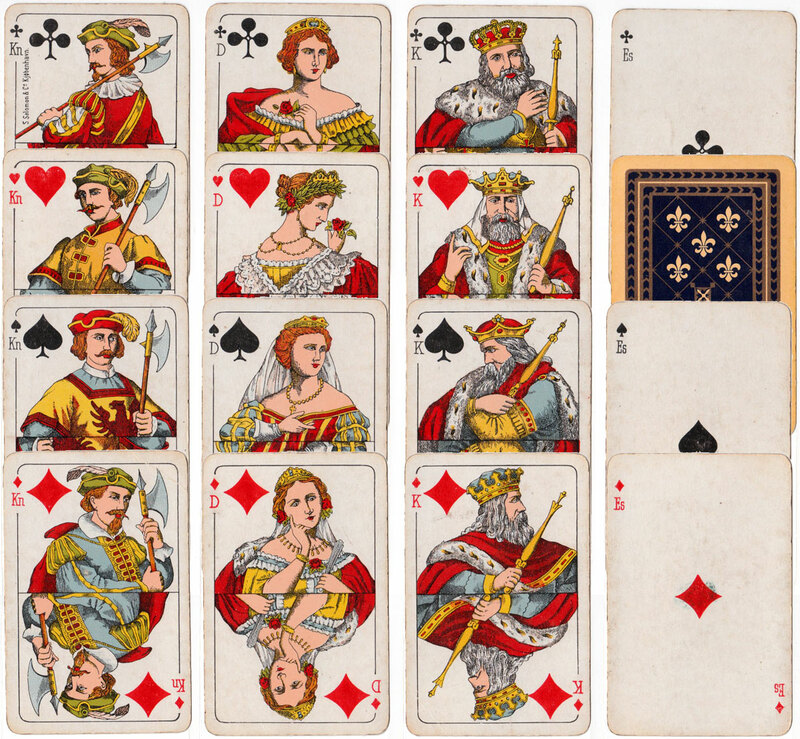 Above: Nr.154 Holmblads made by John Waddington Ltd specially for S. Salomon & Co., Copenhagen, c.1935, printed in 4 colours. See also: Holmblads standard pattern→ Images courtesy Rex Pitts.